ARGH! 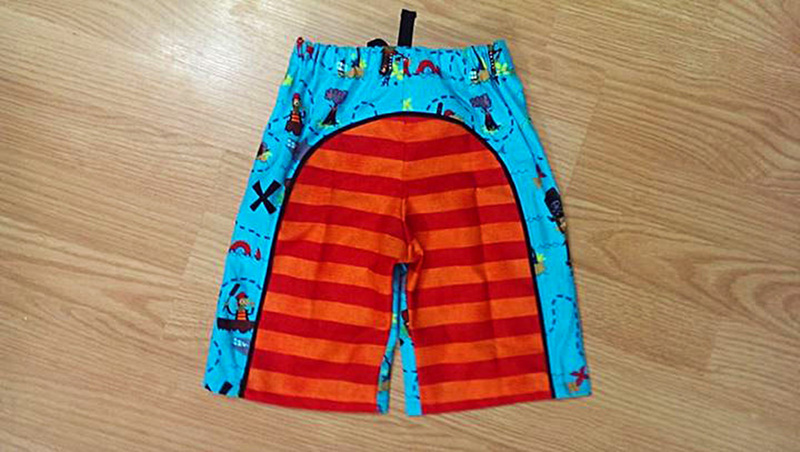 Boy’s Pirate Long Beach Board Shorts | Everything Your Mama Made & More! One of the really neat parts of participating in the Sew Fab Pattern Sale is that we get a chance to try out the other patterns in the bundle! 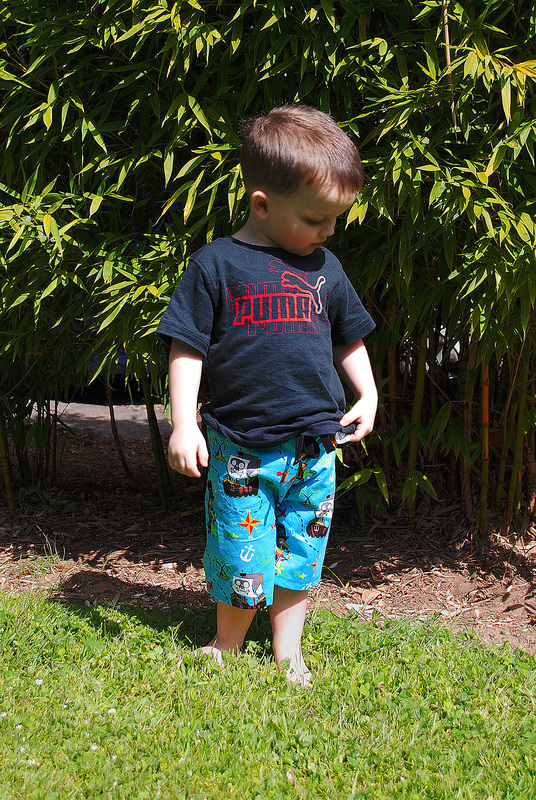 The ones I was the most excited to sew up is Terra’s Treasures Long Beach Board Shorts for my littlest boy. I have to say, even with proper detail finishes these were a considerably fast sew and the end product is AMAZING! 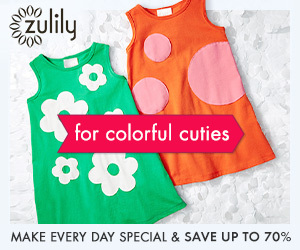 I can’t wait to make some for the other 4 kids. My 8.5 yr old son asked when I was making him pair and the pattern includes a shorter girls length too. I wasn’t sold on the fabric combo until I got the bum panel done… that’s when I fell in love! Then he tried them on and I was done for, lol. This is one of my favorite boy items I have ever made! 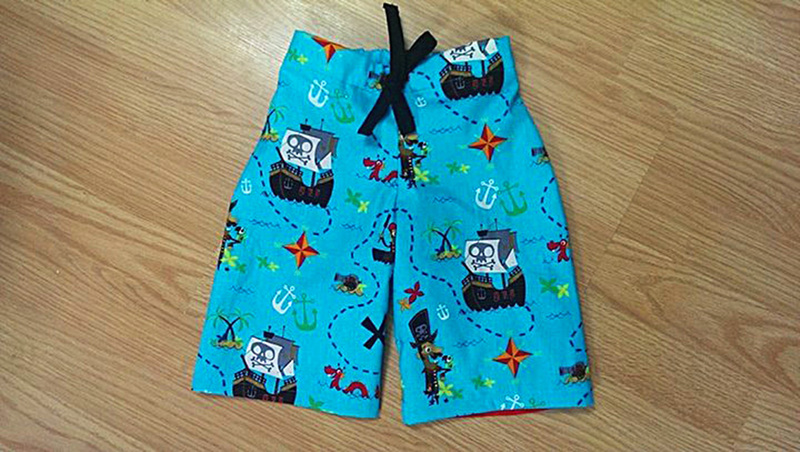 This entry was posted in Everything Else and tagged .pdf, beach, board shorts, boys, bundle, clothes, EYMM, girls, pattern, pirates, sewfab, Sewing, Shorts, terras treasures. Bookmark the permalink. Is this regular cotton or is it board short fabric? I love them! 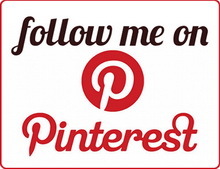 It is regular quilters cotton ;). It works great with either. So, so cute! A must make, for sure!